The legal and regulatory framework for the availability of information in Senegal is generally in place. However, deficiencies have been identified regarding the availability of ownership information for bearer shares, as in other countries governed by OHADA law on companies. A recent amendment to the legislation requires all securities including bearer shares to be dematerialised, but lacks clarity on the practical arrangements to ensure that the dematerialisation process will be effective for all shares during the transition period. Also, a new law introducing waqfs in Senegalese law is not yet complemented by the necessary regulations. The review recommends changes to address these. The Senegalese tax administration has sufficient powers to gather information for the purpose of exchange with treaty partners; even when Senegal does not have an interest in gathering such information for its own tax purposes. Senegal’s network of treaties will soon be greatly expanded as Senegal in engaged in the process to sign the Multilateral Convention on the Mutual Administrative Assistance in Tax Matters. 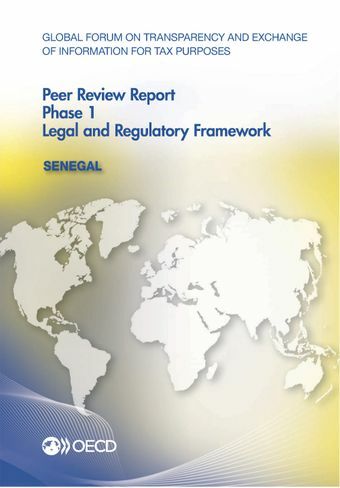 Senegal’s response to the recommendations made in this review, as well as the application of the legal framework and the implementation of the international standard in practice, will be considered in detail in the immediately upcoming Phase 2 review of Senegal. For further information on the exchange of information practice of Senegal and to read the full report click here.